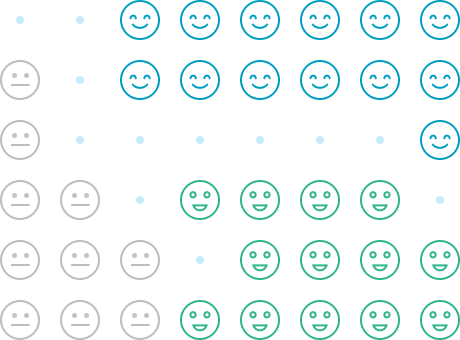 Segmentation is all about delivering relevant and personalized content to users based on available data. Such emails generate more opens and keep subscribers engaged. 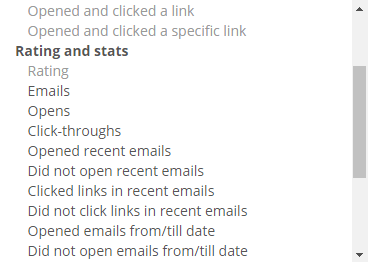 Group subscribers based on their actions: didn’t open an email, opened but didn’t click a link, opened and clicked a link or clicked a specific link. 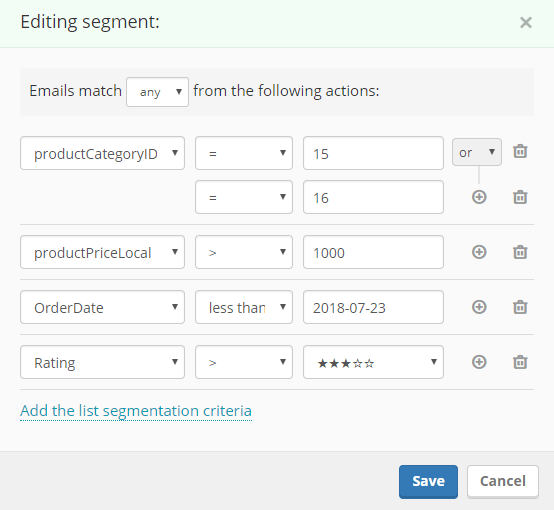 Segment subscribers by their rating which is formed automatically based on total opens and clicks on previous email campaigns. Divide subscribers into groups by opens and clicks over a specified calendar period. To send relevant offers, e.g. shaving razors for men; lipsticks for women. To create content that solves different pain points, e.g. a guide to Instagram promotion for marketer or employment law and human resources solutions for HR. To send event invitations to people who live in the required city, e.g. an invitation to King Tut Exhibition in Los Angeles for Californians. To send targeted offers that best match a particular group’s needs, e.g. best off-campus housing for students under 25 y.o. You don’t need to specify conditions for segmentation manually. SendPulse provides you with ready-to-use segments that are formed automatically based on the activity of your subscribers. Download information about your subscribers as CSV, XLS and XLSX files, or request a report to your email. Copy contacts and all variables to the required mailing list. Move a segment to another mailing list. Clean your mailing list from all unsubscribed contacts.